Every Wednesday we pick the top 3 most voted coins. To vote please send Bitcoins to the voting address. 1 vote = 0.001 BTC. Minimum 500 votes required to be considered. Votes are cumulative from week to week. 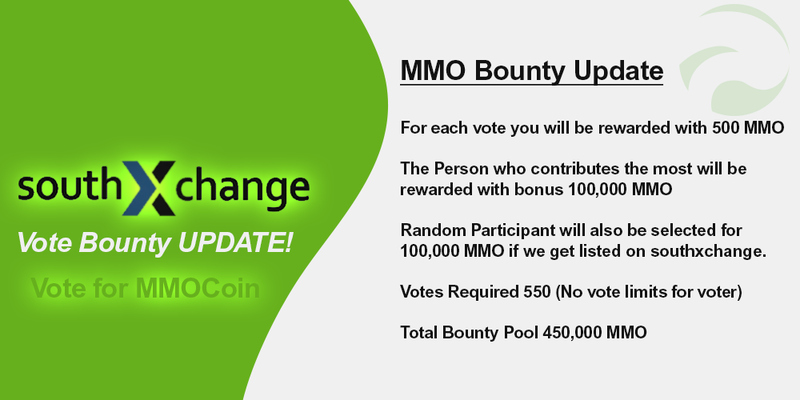 Once everything is done correctly, we will send you 500 MMO as the voting reward. 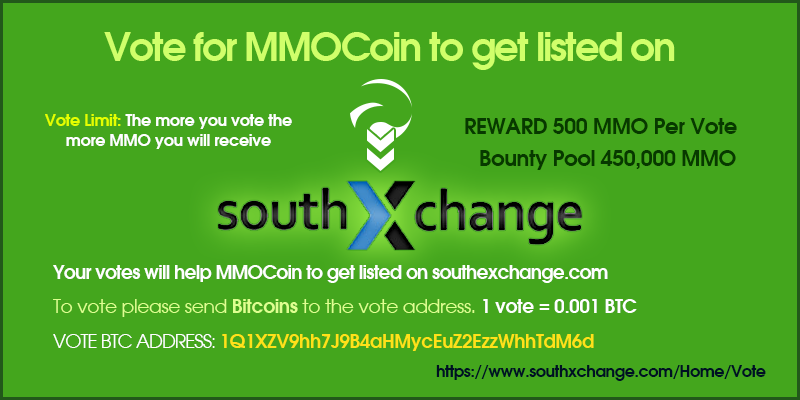 Voting Reward 150 MMO sent to your address.